Keeping the kids entertained can be difficult sometimes, but fortunately not for Dubai residents. As the desert city features many kids play areas, and indoor play areas for kids of all ages. Indoor play areas are a must in the desert city when the weather gets hot in the summer. However, even wintertime can get too cold sometimes in Dubai, at least for the little ones. Located on Sheikh Zayed Road, this jungle-themed play area is perfect for both kids to have fun and go crazy, and parents to chill as there is a café onsite. Cost: AED 40 per hour with access to a huge soft play area. The newly renovated play area is located in Ibn Battuta Mall, and is filled with trampolines, 3-story play structure, big slide, and multiple play houses. It also features daily activities and crafts to keep the little ones engaged and occupied. Cost: AED 50 for 2 hours of accompanied play. This play centre features video games, arts, crafts, rides, activities and a soft play area, which makes it ideal for kids from different ages. Kiddie Ville branches are in Al Barsha Mall and Al Etihad Mall next to the food courts, so the families have many eating options. 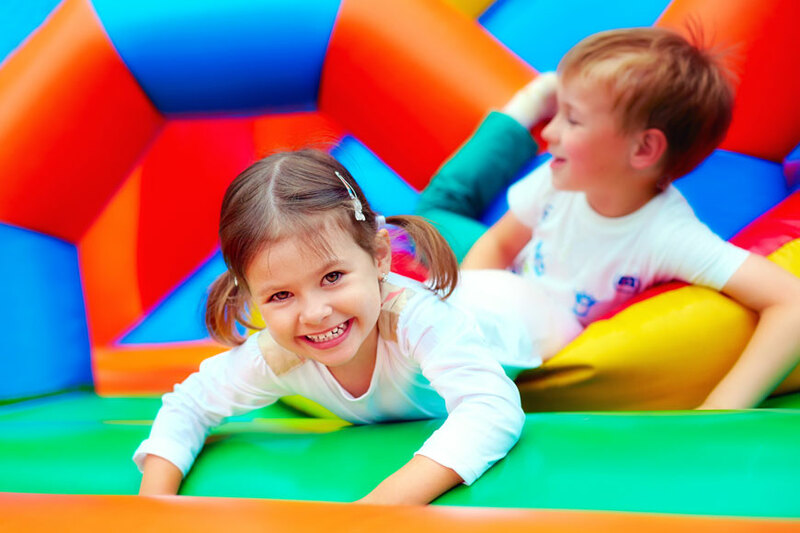 Cost: AED 25 per child for one hour play in the soft play area. Located in JLT, this play area is part space play, and part café, which also makes it perfect for mums and their little ones. This place features a mini ‘supermarket’ where kids can shop for toy fruits and foods. With a soft play area, and an arts and crafts room as well. This neighbourhood play area is super fun. It is located in Motor City, and it has a café onsite also for mums to relax. Cost: AED 50 per child for two-hour pass. This brand new play area is located in City Walk, and is divided into different zones that offer a unique way for each kid to unleash their creativity. Our favourite zone is Barney area on the top floor, where the walls are painted with trees, and slides and robes are all over the place making it an outdoor-park-like. This one is probably one of the most pocket-friendly play areas in town. And it has a wide range of activities in the jungle gym and soft play area. There’s also an onsite café. This play area is located in Sheikh Zayed Road, near Dubai Garden Centre. Cost: AED 50 per child for an all-day pass. The ideal place for the curious little ones who love to figure out how things work themselves, as Little Explorers offers a mix of education, fun, and adventure. And it features 5 zones: Discover Myself, Locate Myself, I Can Do, All Together, and I Experiment. This place is located in Mirdif City Centre and Dubai Marina Mall. Located on Umm Suqeim Street, this play area has recently had a makeover. It features a little track for the little racers, a climbing area, ball-pit, and a mini trampoline. And there are different areas for kids of different ages. This play area offers almost everything, from arts and crafts to climbing walls and indoor sports activities. The play centre is located in Ibn Battuta Mall, but doesn’t have a food and drinks area. Cost: AED 30 per child for an hour in the play area, or AED 60 per hour for one child for the drop and shop option where you can leave you kid supervised by one of their staff.